Patricia has placed a new page on our parish website with an extract from the Christmas newsletter in which I wrote about Blessed Charles of Mount Argus and the newly approved Miracle. You can find it here. Katholiek Nederland has an interesting page on Blessed Charles Houben (in Dutch) which includes a podcast interview with Dolf Dormans, the Miracolato (-excuse the Italian, but I don’t think there is one word in English for a person who has been miraculously cured) and Father Harrie Broers, the parish priest of Munstergeleen, who is a Laus Crucis reader and commentator. Meanwhile, for those who don’t speak Dutch, here is Katholiek Nederland‘s photograph of Mr Dormans and Father Broers. Saint Paul of the Cross, who founded the Passionists, often spoke about the link between Bethlehem and Calvary, the Crib and the Cross. 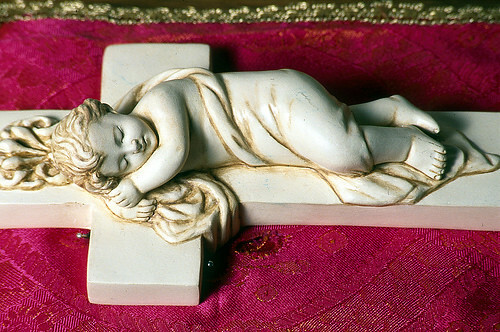 When he would build the Crib each Christmas at the first Passionist church at Monte Argentario in Italy, he would place a cross behind the child Jesus in the Crib to remind those who would pray there of the true meaning of Christmas: “for us and for our salvation he came down from heaven”. When we remember the Crib and the Cross together, there is no danger of a purely sentimental approach to Christmas, because we realise that even in the stable at Bethlehem, the love of God which is revealed is a sacrificial love, the kind of love that lays down its life. Through the mysteries of the Crib and the Cross, God not only reveals himself to us as Love incarnate. He also invites us into the mystery of his love, into the very heart of God himself. Jesus says, in Saint John’s gospel, that “God loved the world so much that he gave his only Son, so that everyone who believes might not be lost but might have eternal life”. Saint Paul of the Cross would say that God is most easily found in and through the humanity of Jesus. Bethlehem and Calvary, then, are places where we can find God, where our journey to God can begin, and where our relationship with him, our love for him can grow. 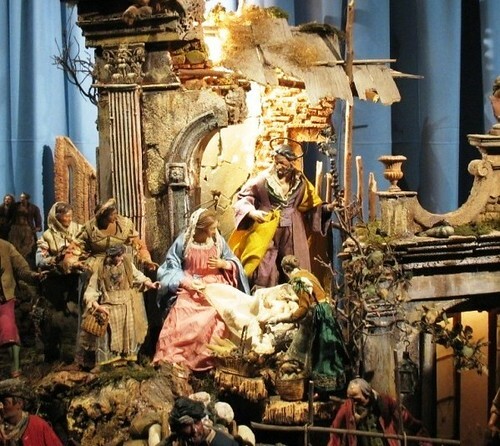 This picture (“borrowed” from Passio Christi) shows an eighteenth-century Neapolitan crib which will be on view at the Basilica of Saints John and Paul from tomorrow night. I don’t remember it from when I lived there, but I do remember the Bambino fasciato, a carved figure of the baby Jesus, very tightly wrapped in silk and wearing a crown, with a little reliquary at his middle containing what was said to be a relic from the crib in the stable at Bethlehem (now venerated at the Basilica of Santa Maria Maggiore). The Superior General used to (and I suppose still does) carry it in at the beginning of the Solemn Matins preceding Midnight Mass. At the end of the Mass, the General would again hold the Bambino while the community and then the congregation would come forward to venerate the relic. Is this the origin of the expression “left holding the baby”? Father Harrie Broers tipped me off (via the comments box) that the “miracle” has become the Miracle. That master of the quiet surprise, Pope Benedict XVI, had his meeting with Cardinal Saraiva Martins today, not next Wednesday as previously advised on this blog, and in the course of the audience, the Holy Father authorised the Congregation [for the Causes of Saints] to promulgate the Decrees regarding… [a whole series of miracles, martyrdoms and heroicities – is there such a word? – of virtue, including] a miracle attributed to the intercession of Blessed CHARLES OF SAINT ANDREW (called in the world JOHN ANDREW HOUBEN), professed Priest of the Congregation of the Passion of Our Lord Jesus Christ, who was born on the Eleventh of December 1821 at Munstergeleen (Netherlands) and who died on the Fifth of January 1893 at Dublin (Ireland). 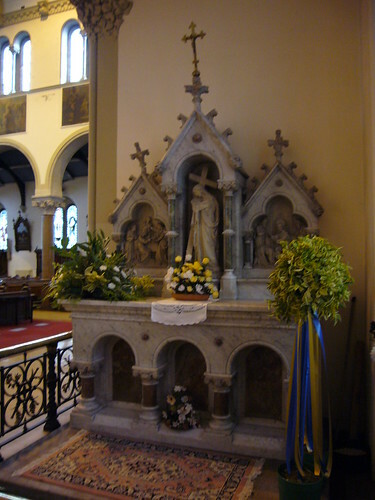 All we need now is a date for what will (I think) be the first ever canonisation of a saint whose tomb is in Ireland. 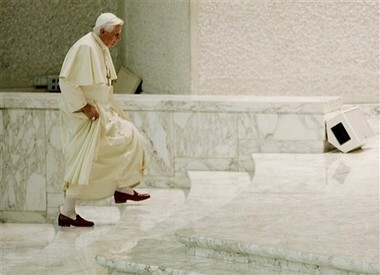 What will Pope Benedict be doing next Wednesday? The following is a long answer to a short question. Father Harrie Broers, parish priest of Munstergeleen (the birthplace of Blessed Charles), suggested in the comments box that I should phone Father Giovanni (Zubiani), who is the Postulator of the Cause of Blessed Charles (and of all the other Passionist Causes of Beatification and Canonisation). I had tried to speak to Father Giovanni yesterday but he was out when I called. However, I had a better result when I phoned Ss. Giovanni e Paolo today. 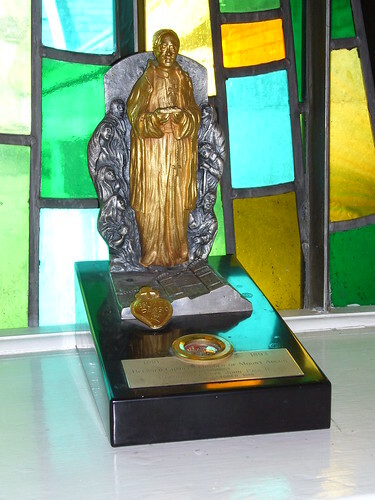 The “miracle” was presented to the members of the Congregation for the Causes of Saints on Tuesday (- the Cardinals and Bishops who form what you might think of as the “board of directors” are the actual members of the Congregation; the others who work there are the officials of the Congregation). The ponente (i.e. the member who presented it on our behalf) was Monsignor Grillo, Bishop of Tarquinia and Civitavecchia. The “miracle” was approved unanimously by the members of the Congregation and will be submitted to the Holy Father by the Prefect of the Congregation for Saints, Cardinal José Saraiva Martins, on 21 December. If Pope Benedict accepts the “miracle”, the way is clear for Charles’ canonisation, and the Consistory at which the Decree on the Miracle is published will be probably take place in February. If all goes well, then, after the Consistory, the Secretariat of State will set a date for the Canonisation of Father Charles of Mount Argus. We are hoping that the canonisation will be in October but, of course, that will be decided by the Secretariat of State. Meanwhile, the next step will be the reading of the proposed decree by Pope Benedict on 21 December (next Wednesday). I returned from Dublin this evening. We haven’t heard anything yet from their Eminences and Lordships (U.S. = Excellencies) about Blessed Charles (Houben)’s “miracle” (-I suppose I should use inverted commas until it is totally and definitively approved). In the meantime, here are some Blessed Charles photographs I took a while ago. 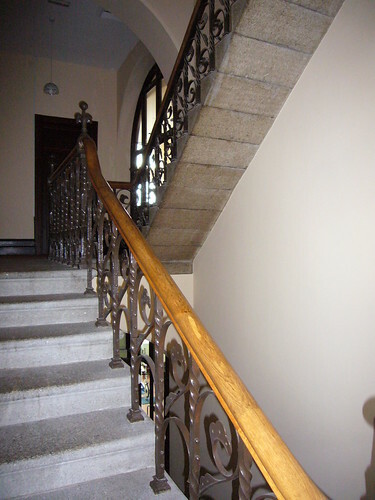 This is the main staircase of the monastery; if you turn right at the top of the right-hand flight of stairs, you are just beside Blessed Charles’ room. Here is the door of his room; Charles went in and out of here many times each day, going downstairs to the parlour or the church to bless the hundreds of sick people who came to Mount Argus seeking his blessing. 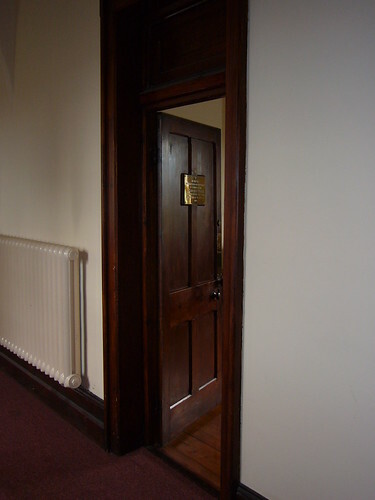 The brass plaque on the door records his death on 5 January 1893. 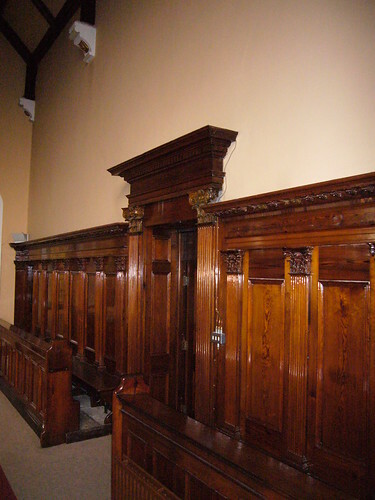 Here you can see the interior of his cell, which is now used as a chapel. 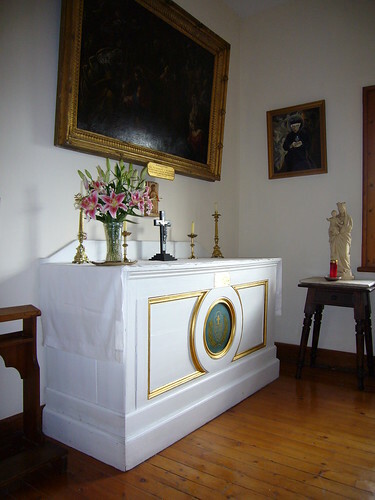 The picture above the altar was given to the community in thanksgiving for a cure which took place during Charles’ lifetime. 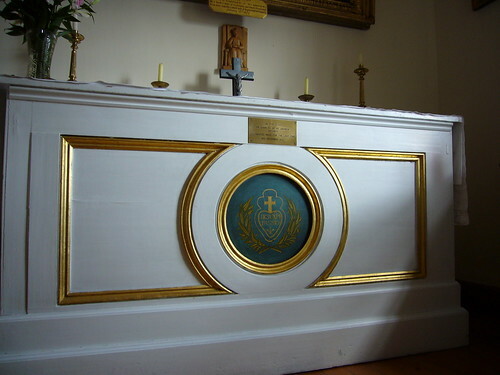 The altar in Blessed Charles’ cell was previously in the former retreatants’ chapel, which later became a classroom for the theology students; this room is very near Charles’ cell. He offered his last Mass in the retreatants’ chapel, about four weeks before he died. 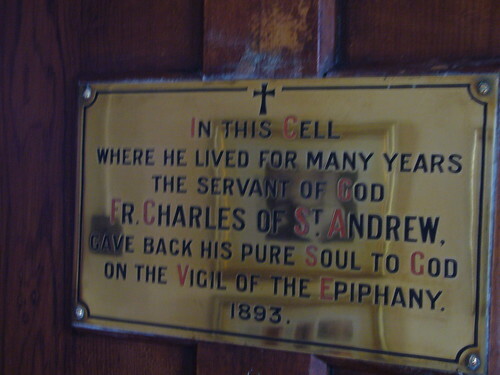 The plaque on the altar states: On this Altar Fr Charles of St Andrew (Houben) celebrated Mass for the last time, 8th December 1892. 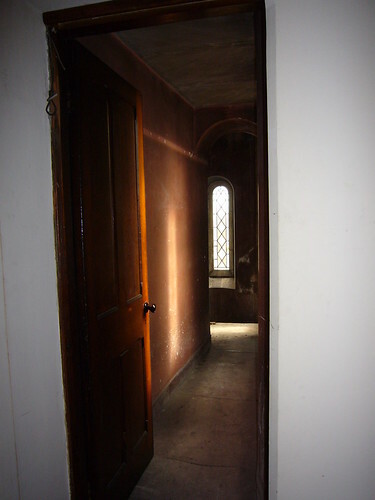 This picture shows the top floor corridor, with Charles’ cell on the right (with the door open). 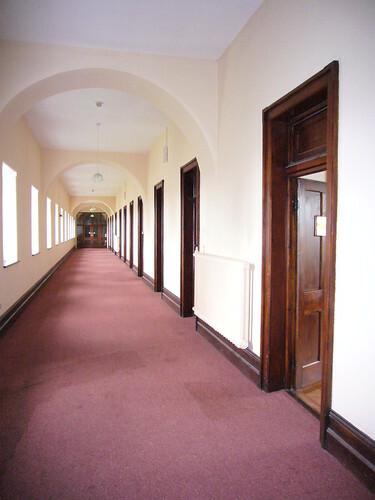 At the end of the corridor is the old Choir (or community chapel). The community chapel was moved down to the first floor about thirty years ago. This beautifully panelled room is now used by the community for chapters and conferences. You might be able to see a door at the extreme left of the picture; this leads to the choir sacristy. From the choir sacristy, there is a sort of “bridge”, a narrow corridor leading to the bell tower and, from there, to the church. After the morning meditation, Charles would go to the refectory to take his coffee and bread; then he would return to the choir and go through the sacristy to this hidden-away corner where he could pray alone and undisturbed, but still near the Blessed Sacrament. Finally, a picture of the altar of Saint Mary Magdalen (the Magdalen Altar) in the church, where Charles usually celebrated Mass. Tomorrow morning (6.30) I will leave here for Saint Paul’s Retreat, Mount Argus, Dublin, for what used to be called the Consulta (meeting of the Provincial Council), followed on Tuesday by related meetings. Tuesday is also the day on which the Cardinals and Bishops of the Congregation for the Causes of Saints are scheduled to examine the proposed miracle for the Canonisation of Blessed Charles (Houben) of Mount Argus, so I’ll be able to pray for them at the tomb of Blessed Charles. 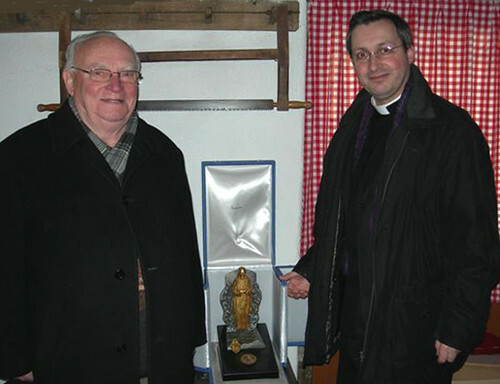 The picture (above) shows a copy of the reliquary which was presented to Pope John Paul II at Charles’ beatification. Family News: My father has been transferred to Lightburn Hospital where he will receive physiotherapy and, I hope, will soon be ready to leave hospital. At present, all he seems to be suffering from are the consequences of being in hospital for six weeks.